A new discussion paper on e-cigarettes has come out in Australia. “Options to minimise the risks associated with the marketing and use of electronic nicotine delivery systems [ENDS] in Australia” by Professor Chapman and some of his following at the University of Sydney. [PDF – 8.5Mb or via Scribd as embedded below or linked here]. Well, when I say it has “come out”, I really mean it has been liberated from the walled garden of hand-picked consultees who are supposed to be discussing it. This discussion paper is provided for the purposes of informing the consultation by invitation only, please do not distribute or circulate this paper to other parties. In other words. Know. Your. Place. Terry Barnes has written a nice piece giving some background: Regulating e-cigarettes: read all about it! Read below and discuss freely! I recently got a reply from the Health Department in regard to an FOI request. If you’re interested, I can forward the email: my address is andrewthommo at gmail.com. It’s feared young people could again be encouraged to take up smoking if nicotine is allowed to be used in e-cigarettes. E-cigarette devices are legal in Australia but sale and possession of the nicotine used in them is illegal. The Therapeutic Goods Administration is seeking public submissions on a proposal to exempt nicotine from the Schedule 7 dangerous poisons list, at concentrations of 3.6 per cent or less, in a bid to reduce the harm caused by tobacco. Experts warn the medicines regulator will be bombarded by big tobacco companies, looking to e-cigarettes as another opportunity to get people hooked.Tobacco giant Philip Morris sells e-cigarettes in Japan and some European countries, while e-cigarette company Nicoventures is owned by British American Tobacco. “They will receive a large number of totally commercially driven submissions from people who see this as an opportunity to make a lot of money,” University of Sydney public health Professor Simon Chapman told AAP on Friday. 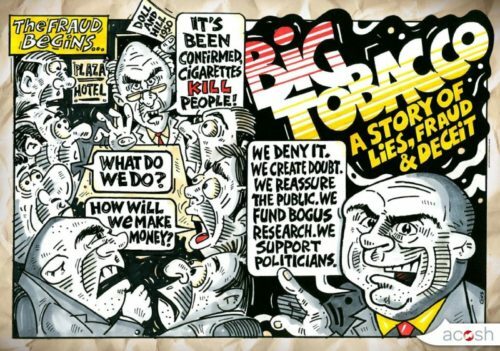 He says big tobacco hasn’t taken its foot off the accelerator when it comes to opposing tobacco control, companies still taking governments to court over plain-packaging laws and lobbying against tobacco taxation. Curtin University professor of health policy Mike Daube, who chaired the federal government expert committee that recommended plain-packaging laws, called for caution around any move that could allow big tobacco to renormalise smoking. There was evidence raising concerns about the safety of e-cigarettes and harms from nicotine. “Smoking trends in Australia are as good as anywhere in the world and we have to be very careful that we don’t allow anything to distract us from the measures that are proven to reduce smoking,” he told AAP. Prof Chapman says evidence from the US and Poland shows e-cigarettes are acting as a gateway to smoking for young people. The smoking rate among 12 to 15-year-olds is 3.5 per cent, the lowest ever seen in Australia, and that could be jeopardised if the e-cigarette genie is let out of the bottle, he says. It could also become a crutch preventing smokers from quitting altogether, he warns. Thomas, you don’t need to read them all. Pick out the main ones on each side that are being pushed. Read the claims and articles and statements about them from the side promoting them, AND THEN read the actual studies and read the analyses done by the critics of the studies. You can also find discussions of the various high profile studies on the web and compare the arguments people make on both sides and see which side dodges the questions that are put to it after it makes a bunch of claims. If it’s the “true” side then it should certainly be able to defend itself against attacks. If it’s the “false” side it will simply make its claims, maybe make a few responses attacking its critics with invective or side issues, and then finally simply run away with final statements like, “I don’t have time to put more energy into this pointless argument with pinhead smokers.” or somesuch. Once you’ve done that with a dozen or so of the big headlined studies you’ll start to get a feel for which side has more solid ground to stand on. all these biased reports from all over the world, it’s just frustrating. Sisyphean task. Some day someone will make a movie about the leaking of this private document! I want to make clear that I am an Australian, and I find ‘Professor’ Chapman to be one of the most disgusting, authoritarian, illiberal fanatics that my country has ever produced. I’m ashamed to share citizenship with people like Chapman. It doesn’t surprise me to see that his paper, his scheming, has attempted to be hidden from the public in a democracy the public healthists do not respect. The public health academics in this country, are authoritarians, fanatics, and they seriously believe they have the right to impose their will on the people of Australia. The absurd level of repression of actual cigarettes is a testament to this. I want to make clear that I have several avenues at my disposal to illegal cigarettes, untaxed, completely available to me, and I relish that for when I choose to consume recreationally, cigarettes. I don’t believe in the lies about ‘addiction’, I’m a proud, unashamed, recreational user of tobacco and vaping, and I just want to talk about vaping for second. I’ve taken advantage of the liberty that people like Chapman hate, and imported 30 years worth of liquid nicotine, it is stored in my garage freezer, my vaping future is assured, I’m future-proof, and I’ve spent thousands. And I didn’t pay any Australian tax on any of these products, even GST. I’m very proud. I marginally follow the ‘debate’ in Australian society between ‘the public’ the public healthist lobby authoriatians, I have little doubt that the disgusting, illiberal public healthists will succeed in their war against freedom once again, this time on vaping. I, myself, I’m immune, I’ve ensured I’m future-proof. I encourage everyone unfortunate enough to be an Australian, and it is unfortunate, you’re under the control of politicians who illiberally kowtow to the public healthist lobby at every turn, they will take away your right to vape or smoke without a second thought, to buy up, prepare, and buy decades worth of supplies. I researched how long liquid nicotine can last frozen, and I’m scientifically satisfied that it can indeed, last decades. We all know vaping is low cost, week on week, compared to real smoking. For the sake of a couple of thousand dollars I ensured I was future-proof, Chapman-proof, I understood the enemy of my freedom, and acted accordingly. There are many bulk suppliers in the US and UK who will ship you large amounts of liquid nicotine, that you can later mix with the appropriate vaping ingredients. Wouldn’t you like to be free from the oppression and repression of the disgusting sucm of the Australian unelected public healthist lobby? You can. But only if you act in the next…. I’d guess… five years. These disgusting control freaks will no doubt, strengthen their grip on the vaping products supply in the coming years… Australia doesn’t have a tradition of liberty and a polity that effectively fights back against the nanny state… scumbags like Chapman know this… they know they are ultimatley in charge of policy… so act while you still can… your fellow countrymen and their weakness and desire to watch cooking shows and Australia’s Got Talent, don’t give a flying F about your vaping rights, and opportunists like Chapman know it. Let’s not even dwell for a moment on how pathetic it is that vape shops can’t even open up in this country and sell vaping products. Let’s not even dwell on how disgusting and illiberal that is. Just speaking as consumers of these fine products, know, that you have about a five year window to import your lifetime supply of nicotine juice, and equipment, because the disgusting, unconscionable, rabid anti smoking fanatics that inhabit taxpayer parasite positions in academe, like Chapman, are coming at you like sharks, and they will win, in the end, because this is the country that gave up its guns without a whimper, this is the first country in the world to deny tobacco companies intellectual property and force ‘plain packaging’ on tobacco providers, this is the country of practically $1 cigarettes, rising to $2 cigarettes before 2025, and outright total prohibition by 2050 mark my words. I’m very happy I can buy real cigarettes at 1998 prices at will, through my illegal supplier, a hero of free trade between consenting adults without government, and I admire the risks he takes, but I also enjoy vaping, and I’ve ensured I’ll be supplied for vaping until I die. Scum, utter repellent, repulsive, anti-human, anti-freedom, scum, like Chapman, don’t play into my decision-making in any way, other than a menace, a threat to be evaded, avoided, and trounced. I am very proud, and utterly unashamed, that I have taken control of my smoking future, my vaping future… by placing myself outside the control of government, we do not, do not, live in a democracy when it comes to ‘public health’ nazism. Proud to trump you, you piece of garbage, Chapman. Reminiscent of the secretive way that Article 20 of the TPD was drafted – behind closed doors and ignoring any science that was positive about ENDS. Shame on Chapman and ALL tobacco control fanatics of his ilk. They cannot be trusted either to tell the truth or to play fair. And they never give up. Harm reduction? I’m all for it! Get these idiots humiliated and shamed out of any position of influence and tobacco harm reduction will be the winner! We are fortunate that people like Clive have managed draw public attention to the Simon Club’s obstinate manipulative, never-ending miss-representation(s). “Planning is an exercise of power, and in a modern state much real power is suffused with boredom. The agents of planning are usually boring; the planning process is boring; the implementation of plans is always boring. It’s a bizarre story. If the government hires Chapman for a review, it obviously wants propaganda to support a predetermined position, not scientific advice. But if it wants propaganda, why hide it from everyone? Clive can’t reveal too much of the personal experience of the past few years that makes it ‘ all so familiar’ ,email me if you want more. Gummy ( and Clive) sorry my reply to Clivec went to the wrong pigeon hole. BTW Gummy, agree it is a strange tale. Could be wrong but the hiring of simon , to recommend keeping us ” on a tight leash” does sit ,a bit too well with the instinctive dispositions of the typical, budget maximising , Canberra bureaucrat , these days. It certainly does sit well with them, but those so inclined do not need any convincing. I guess it’s internal propaganda. Government is a big place with many people doing many things. Some may not have a strong opinion or much background, so commissioning a “review” makes sure they are all on the same page. Just imagine colleagues searching for themselves, they might stumble over PHE or RCP… The Horror! I would be interested in having a coffee or Skype call with you as your comments are interesting to me. James Go to http://johnrwalker.com.au/enquiries-3/and send me a message. God this has a familiar ring ! The leaking of this doc tells me that there are at least some in Simon’s ‘committee room’ that are getting really sick and tired of their “circular bully” problem. I.e The interminable lifelong ‘insider’ club member who sincerely believes that; all he can seem, is all there is to see, and that all important decisions should be left to his ‘ exclusive club for the right kind of person’ to decide. Trying to get such a person to even consider that there might be alternative (let alone better) ways of looking at problems (as opportunities) is ,impossible. Simon’s club will never let go of ‘quit absolutely or, die’…’don’t inhale, its the only way’. This Chapman ‘report’ has a local context, it is a report to the Federal Government of Australia. Australia is a federation, currently the responsibility for the sharp end of smoking and ENDS related regulation I.e where you can or cannot smoke, or vape etc, falls to the 6 individual State plus the 2 Territory governments to legislate on. So Simon particularly glosses over the reality of the NSW State legislation re ENDS. The NSW regulations must be particularly ‘disappointing’ to Simon, NSW is where Simon lives. Simon’s club wanted the NSW legislation to regulate ENDS use exactly the same as tobacco smoking . In short face ever tightening legal prohibition in all public places and with an aim in time move to effective total prohibition; regulate it into the ground. As it turned out the NSW legislation does not ban the use of ENDS in ‘smoke free’ areas. The Act does not deem that ENDS are ‘Tobacco’. Initially the NSW State Government tabled legislation that would have had little adverse impact on ENDS users. ( The legislation banned, sale to minors,had some restrictions on advertising, and that was about it). The NSW lower house passed that legislation. It was then sent to the upper house for signing off. However in the NSW upper house, the government depends on the support of a small number of independents to sign off on legislation, a stand off developed. The Labor and Green opposition members moved for draconian ,Simon’s club style amendments to the Act that would have deemed the public use of ENDS as ‘smoking’ and also regulated ( banned) the sale of ‘unapproved’ ENDS etc . The Government , in the lower house, effectively refused to adopt those amendments and therefore the legislation went into limbo for a time. In the end government horse-trading with the quite diverse ‘special interest’ independents that hold the balance of power in the upper house resulted in a ‘compromise’. The Act was then passed into law. Significantly, from Simons perspective, the NSW Act does not deem ENDS as being ‘tobacco’. This result(in Simons home State!) must have really frustrated the circular bully. So he has turned to writing secret official reports to the Federal Government to try to impose his ‘club house’ view on the whole country and in particular on the uncooperative, NSW government. Fascinating stuff. Thanks for this insight. I LOVE the “seven possible policy approaches”. That says MUCH of the intelligence and approach to control. Thank you, Clive, as always. “Options to minimise the risks” and no mention at all of options to maximize benefits. Not biased at all! This is like asking Carrie Nations to rite report on alcohol. Yes, the Cherry-Picking Chimp really needs to get a new cape. Curious that the PHE, RCP & NCST reports aren’t referenced, other than MCKee & Chapmans Lancet opinion piece. Is it possible they accidentally omitted all the positive ecig research. Maybe they forgot to include them by mistake.